Saunfia Lauki is a wholesome dish that I had learnt from my mother some years back. Ideal for both lunch and dinner, savour Saunfia Lauki with chappatis. Here is how to make it. 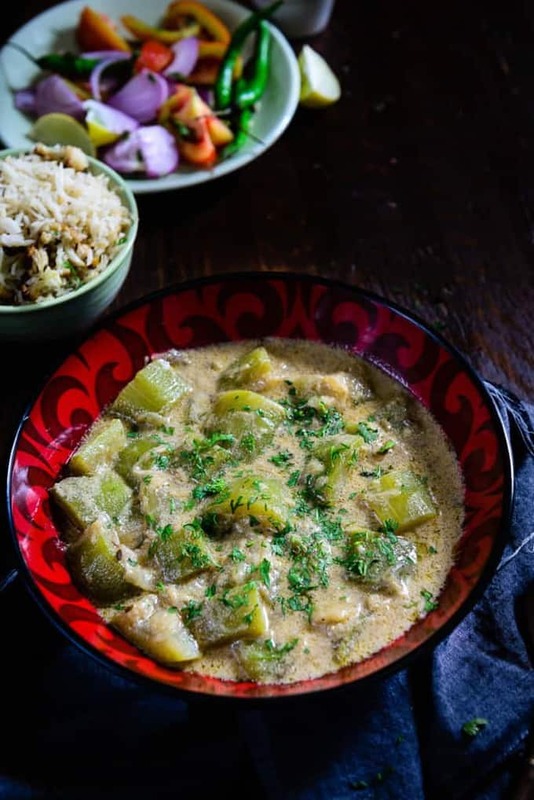 Saunfia Lauki is a very wholesome dish that I had learnt from my mother some years back. 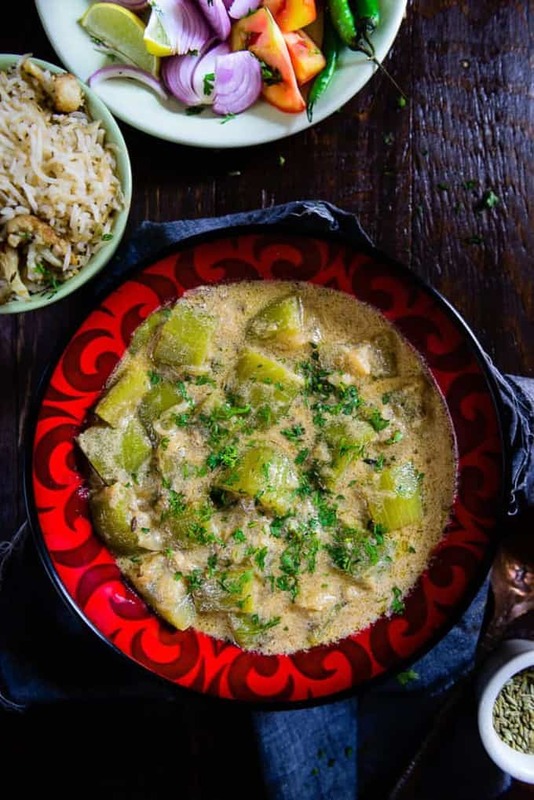 As a child, I hated eating lauki or bottle gourd. I never used to eat Saunfia Lauki even if my mother convinced me to eat it. But now that I am a mother myself, I realize how important lauki is for our health. Thankfully, my kid doesn’t throw any tantrums while eating lauki. So, just to make him eat more lauki, I end up preparing Saunfia Lauki often for lunch or dinner. I have used few spices for making this sabzi as I did not want the flavor of lauki to subside. 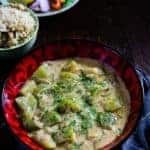 Saunf, onion, milk, white pepper powder are used in this recipe so that the flavor of lauki gets more enhanced and it rightfully does, ladies! Lauki as per Ayurveda is good for digestion. It also contains vitamin A, C, calcium, magnesium, phosphorous et al. Lauki even helps our body during diarrhoea and assists in reducing liver inflammation. As Lauki contains fiber, it even combats constipation. Having said that, I recommend that you should surely eat lauki often. You may relish Saunfia Lauki as a sabzi or make Lauki Ka Halwa for dessert, as far as you eat lauki, you are going to reap its benefits. Have a look at the recipe of Saunfia Lauki and nourish your family by making more recipes crafted from lauki! 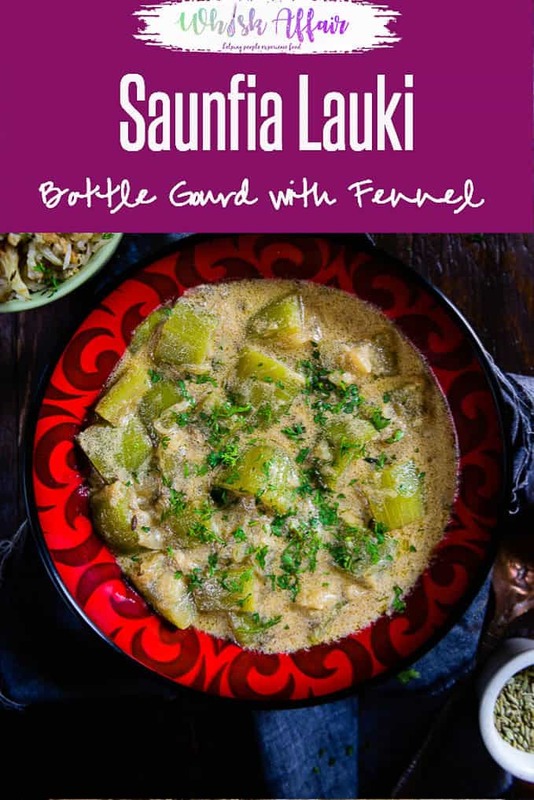 Saunfia Lauki is a wholesome dish that I had learnt from my mother some years back.Ideal for both lunch and dinner, savour Saunfia Lauki with chappatis. Once the ghee is hot, add heeng and saunf powder and fry them for a few seconds. Add lauki and fry for a minute. Now add milk and salt and cover and cook the lauki on low heat until done. Add white pepper powder and mix well. Hi, I have been a silent audience of yours on Instagram. However today I tried one very different recipie – lauki with saunf and white pepper. I did not had white so I used the black pepper. Nevertheless it is Super easy to make and super tasty with very few ingredients. My 10 year old ate it without fuss and husband dear mentioned that it is really nice. And this appreciation from him forced me to give you the due credit.